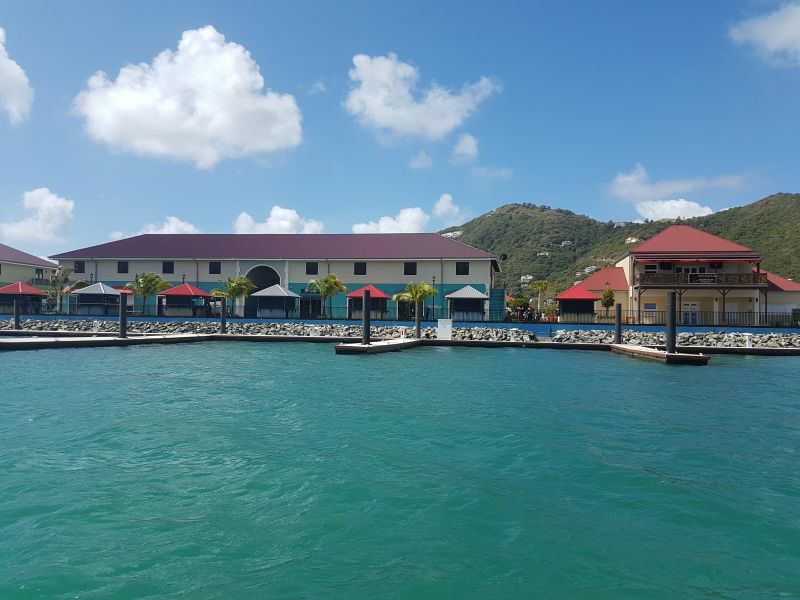 The Tourist Duty Free System Act of 2015 was passed on Tuesday July 14, 2015 in the Second Sitting of the First Session of the Third House of Assembly. The purpose of the Tourist Duty Free Act is that persons who purchase items within the duty-free zone would not be required to pay duty on those items. Honourable Julian Fraser RA (R3), former Leader of the Opposition, urged the Minister of Finance, Hon Smith to tell the Members of the House of Assembly why there is about $860,000 unaccounted for. “Madam Speaker, the total amount of duty charged on goods sold by merchants to non-cruise ship passengers in 2016 was eighty seven thousand, one hundred and seven dollars and twenty-two cents ($87,107.22),” Premier Smith had told the HoA in response to a question from Hon Fraser. “…of that amount a total of nine thousand, six hundred and forty-nine dollars and twenty-three cents ($9,649.23) has been paid into the treasury. These monies were paid in on February and May of 2017,” Dr Smith further stated. 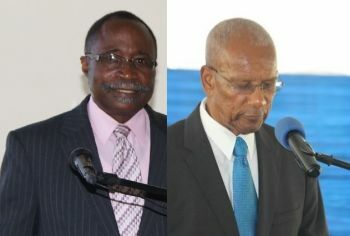 Hon Fraser, the veteran politician, noted that more than $80,000 is still unaccounted for. In response, Hon Smith stated that the rest of the monies should be paid by or on August of this year. “This doesn’t make any sense; at least to me,” remarked Hon Fraser, suggesting that the monies collected during the period of January 1, 2016 to December 31, 2016 is being used for something else because only $9,000 was paid into the treasury. Hon Smith, as is usually the case, could not give clear and precise answers for the questions that were being asked by him regarding the unaccounted monies. The opposition member expressed his frustration with the Premier and insisted that he explain why there was only $9,000 paid into the treasury when a significant amount of money was collected. “The question I asked is how much custom duty was collected, I didn’t say how much was due. If $870,000 was collected that means the port authority sitting on $860,000 government dollars. The minister of finance has to tell us, where is the money? You can’t be so comfortable with it as it is,” stated Hon. Fraser. “That’s exactly what I thought,” added the opposition member. Meanwhile, it was brought out via questions posed by Hon Fraser to Premier Smith that the total value of goods imported by merchants of the Tortola Pier Park that were exempted under the duty-free facility in 2016 as reported by HM Customs was eleven million, six hundred and thirteen thousand, one hundred and eighty three dollars and seventy cents ($11,613,183.70). The total amount of customs duty exempted for the same period was one million, seven hundred and forty one thousand, nine hundred and seventy seven dollars and fifty six cents ($1,741,977.56). The total value of goods sold by these Merchants for local consumption to non-Cruise ship passengers in 2016 was two million, ninety six thousand, one hundred and thirty-six dollars and ninety eight cents ($2,096,136.98). We will ALL know where all the MONIES went and going when you see Mr Auditor takes his office in August 2017. Wait I say on the Lord. Every darkness will come to light! I think all of us waiting patiently to see who will be the first handcuffed government official. Fraser, you already know wa happened to that money? It was supposedly "mismanaged." Sounds like this government have 2 sets of (accounting) books now: one- just incase they are forced to reveal to us, the public, and the official one for themselves. Vino, your cartoon this week is hilarious. Who is that bald-head man behind the wall? Commish really looks worried, no kind a results- 6 mths and counting. Welmabouy, the clock is ticking. till CSC drop the mother-of-all-bombs (91%); we ain't hear nothing yet. What say he? Ask the one in Communications and Works. Everybody else faulty when the problem in there. Mark look like you don't listen the problem under your nose. Security and inland revenue all over most of us for taxes and rightly so however there are many persons living(residing) on vessels in our waters tax free and have been going for many years what will be done about that: my next question how can the tax authority in this territory verify the income declared and then presented to the lawful authority are truthful and accurate(just asking)....there is so much unregulated movements in the waters of the BVI( customs and police needs more boats and manpower) let the U.K. give her territory some good money for costal security and stop taking our people's tax money.. Does not the BVI have strict internal and management control processes and procedures for collecting and depositing money in the treasury? There must be some policy(s) that states that money collected has to be deposited in the treasury no later than a certain time. So why apparently is this money unaccounted for and not deposited in the treasury? Does not the MoF has a fiduciary responsibility for ensuring money is properly collected, protected, distributed, and spent for its intended purpose. Furthermore,departments cannot money they do not have and spend money for its intended.